Summer is over..already? Sigh. Today was our official FIRST day of school! Collins has been going to Little Lambs (mother's morning out) for the past two years. Today we moved up to 3P, which in my mind is the beginning of real school..although realistically I know that isn't until kindergarten. I almost had a mommy meltdown, but I am happy to report there were no tears today-from either of us! If you have a child with food allergies or intolerances, you know that starting a new school can really be a source of anxiety and stress. Its tough to feel like you are having to start all over with explaining and teaching everything to so many new people and hoping your child will be safe. I felt so comfortable with our old school and all of our teachers. I know our new school and teachers will be fantastic, but starting over with a child with allergies can be overwhelming at times. Enough about that! Whether your child has a special diet or not, we all want our children to be healthy. If you had a choice between feeding your child lard, preservatives, artificial colors and ingredients you can't pronounce and real meat, fruit, and whole grains, I think we would all choose the same thing! But lets be honest, it is really easy to get in rut and serve the same sandwich or prepackaged meals..and before you know it you are constantly serving your child a full meal of fake ingredients. I know a lot of kids love pizza, right?! Collins can't have dairy, so we use Daiya cheese instead of the real deal, but she loves her special pizzas! I was at the supermarket recently and picked up a pizza lunchable, and to be honest I was shocked. 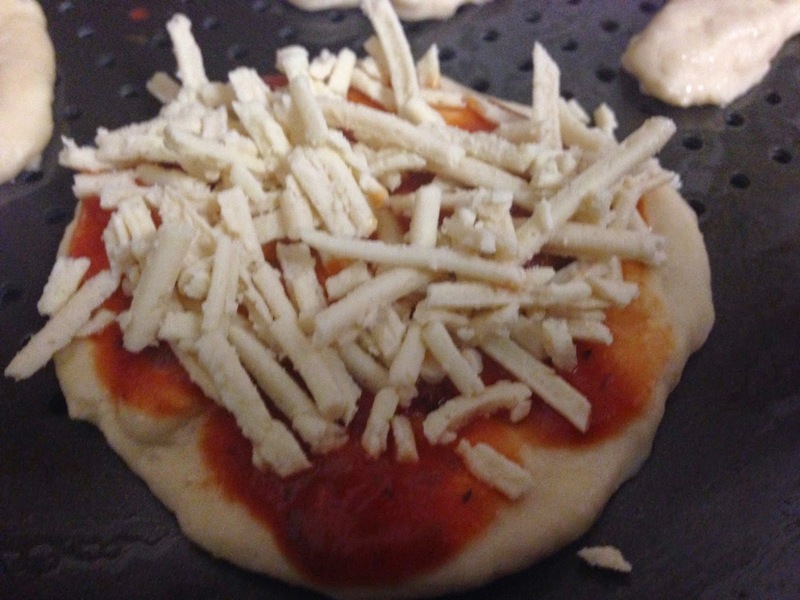 The pizza crust alone has 22 ingredients, and the 'cheese' isn't cheese. The ingredient list for the 'cheese' even lists it as "Pasteurized Prepared Mozzarella Cheese Product" instead of "cheese". Think I counted 66 ingredients for just the crust, sauce, cheese and pepperoni. The other varieties of the lunchables are pretty bad too. Now listen, I am NOT judging anyone for giving these to your kids! We don't have the option of eating them since Collins is allergic to them, and honestly, I probably wouldn't have realized how unhealthy they were unless I was constantly checking labels due to allergies. Sure your kids can have these from time to time when you are in a time crunch, but I definitely wouldn't choose these every day! 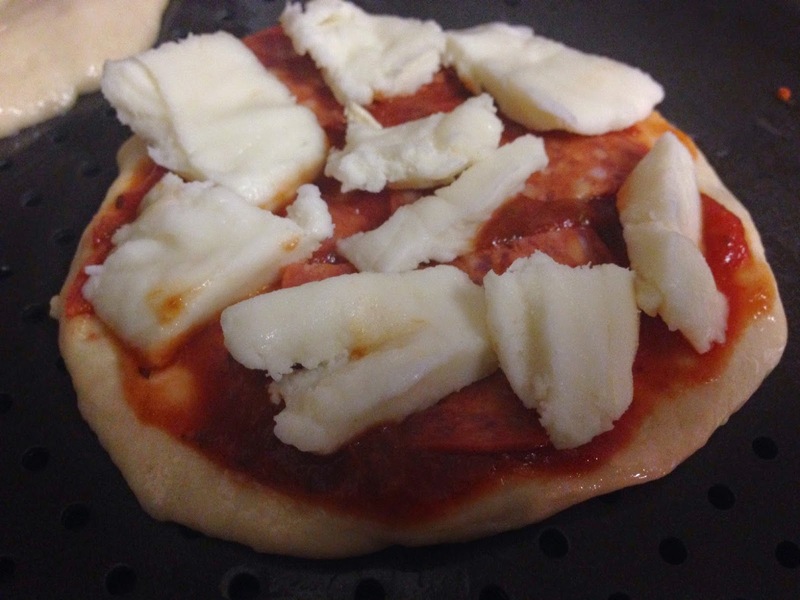 So lets make a healthier and tastier pizza lunchable! I call them..
Other: I use Classico Pizza sauce,and Daiya (vegan) Cheese. If you can have dairy, then you can use cheese of choice. 1. 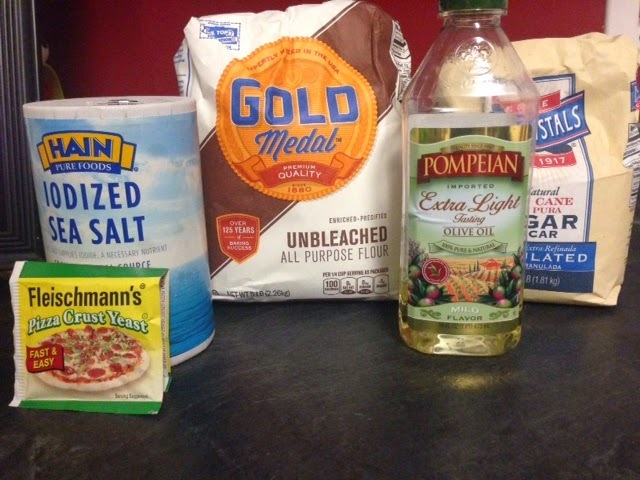 In a large bowl, add flour, salt, sugar, packet of pizza yeast and olive oil. Now stir in your warm water. Stir about a minute until all ingredients are combined into a sticky, loose ball. 2. Flour your clean counter top (or a large, sturdy wooden cutting board. I use the counter bc it is more stable and I have more surface area) lightly with some of your all purpose flour. Wash your hands (its much easier to knead dough with clean hands. 3. Knead your ball of dough on the floured surface for about 5 minutes. It is very easy to knead! You don't have to use a specific technique. 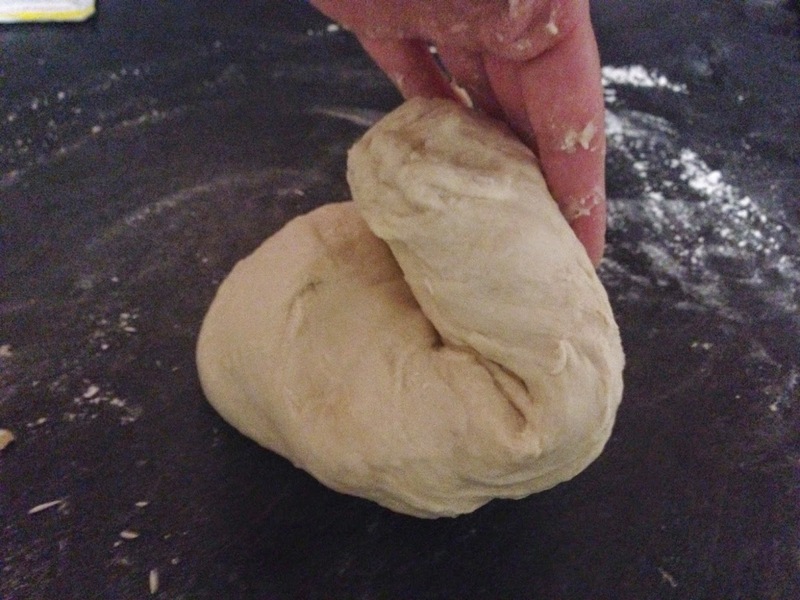 I like to push down and forward with the palm of my hand, fold the dough over and then turn it clockwise or counterclockwise (Push, fold, turn). You could also just alternate hands pushing back and forth with your palms (left, right, left right) and turn some. Need help? google how to easily knead dough. Promise its simple! 4. Place your ball of dough back in your bowl and cover the dough with a clean dishcloth. Let it sit for about 5-10 minutes (5 is fine..its what I do, but 10 will give better rise to the dough). You can use this time to get your toppings out and prepared if you are baking your pizzas now. 5. If you are making small crusts, tear or cut off and roll into golf size (or a little larger) balls. 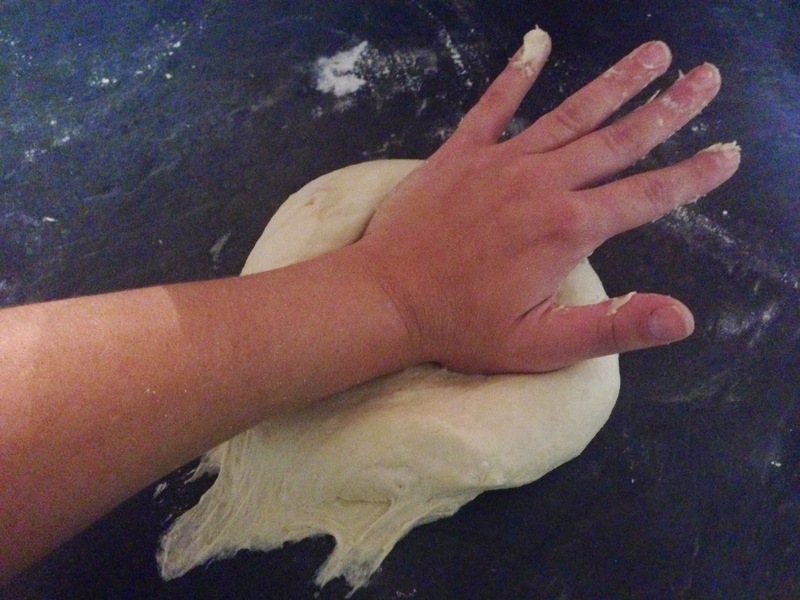 Flatten and spread dough with your hands (what i do) or floured rolling pin. If you want to use a cookie cutter, you can also do this at this point! You can also spread the ball into one pizza. 6. Spray or lightly coat the bottom of your pan with olive oil. Place pieces of dough onto pan and spray or lightly brush the top of each with olive oil. 7. 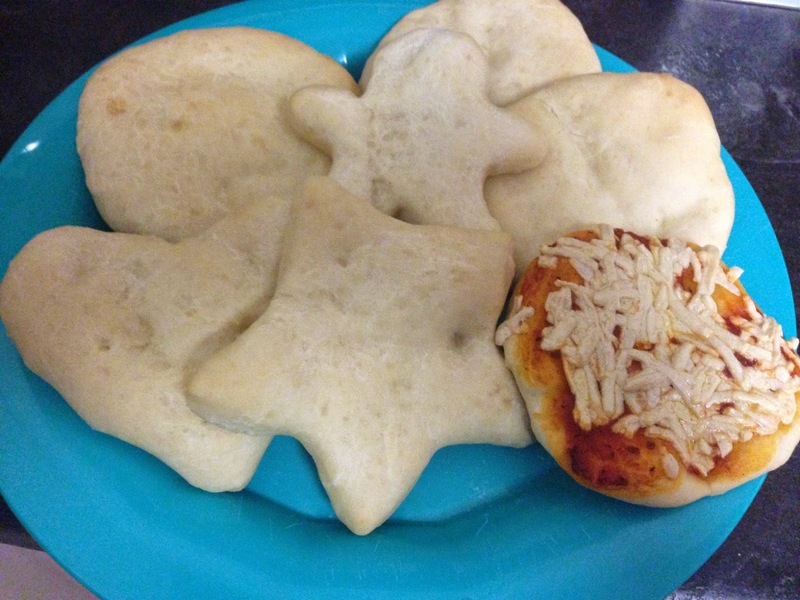 If you want to use these as lunchable style pizzas, just bake as is. If you want to make pizzas, go ahead and add sauce and ingredients. FYI- you can bake plain and dressed dough at the same time. Bake for 12 minutes. The tops will be light and the bottoms will be slightly golden. This will make about 15 small pizzas depending on what shapes and sizes you use. Whatever you don't need in the next few days, simply put them in a freezer zip lock bag, and get one out the night before school to defrost. Put it in the lunch box in the morning and it's ready to go! p.s. excuse the low quality pics..they are from my phone..
You can use Vegan cheese if allergic, or regular cheese. I love fontina and fresh mozzarella with turkey pepperoni and fresh basil! You can really do so many types of pizza..bbq chicken pizza, taco pizza, vegan, meat lovers..and they can all be different! Great for a family night ..everyone can have the type of pizza they like! Seven Layer Dip in a clear cup (or however many ingredient layers your little one will eat) and tortilla scoops (use vegetarian re-fried beans, guacamole, light sour cream, all natural shredded cheese, blk olives, diced tomatoes, diced onion).